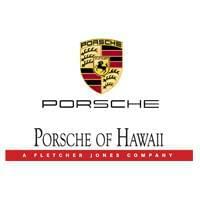 The finance experts at Porsche Hawaii are ready and waiting to help you secure a loan or lease that suits your circumstances. They’ll take the time to understand your individual financial requirements, then leverage a diverse network of lenders to find the right option, whether you’re buying new or pre-owned. You can start the process from the comfort of your own home by taking advantage of our handy online finance application. We’ll then contact you with additional information as soon as your application has been reviewed.